Marshmallow keep falling off your graham cracker and into the campfire? Need a cheesecake fix fast? 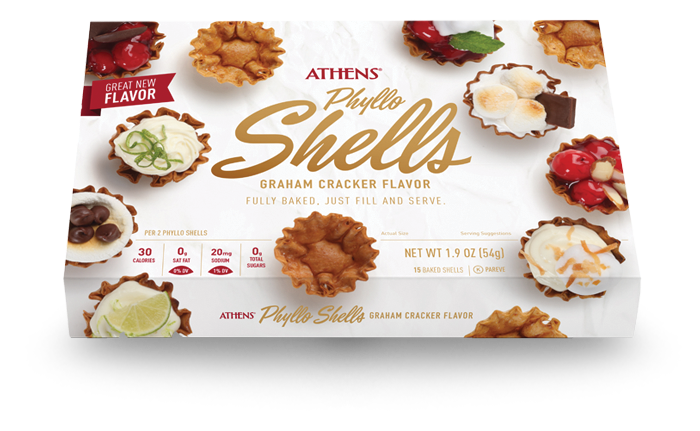 Both problems solved with our rich graham cracker shells! Light, flaky layers of graham cracker flavored phyllo dough are formed into mini pastry cups, then fully baked and frozen fresh. Fill ‘em up with whatever you desire! Enriched Wheat Flour (wheat flour, niacin, iron, thiamin mononitrate, riboflavin, folic acid), Water, Corn Starch, Canola Oil (canola oil, rosemary extract, ascorbic acid [antioxidant]), Whole Wheat Flour, Brown Sugar, Molasses, Graham Cracker Flavor (soybean oil and artificial flavors), Vital Wheat Gluten, Salt, Cultured Wheat Flour (preservative), Spice, Caramel Color. Hey chocoholics, we’ve got you covered. 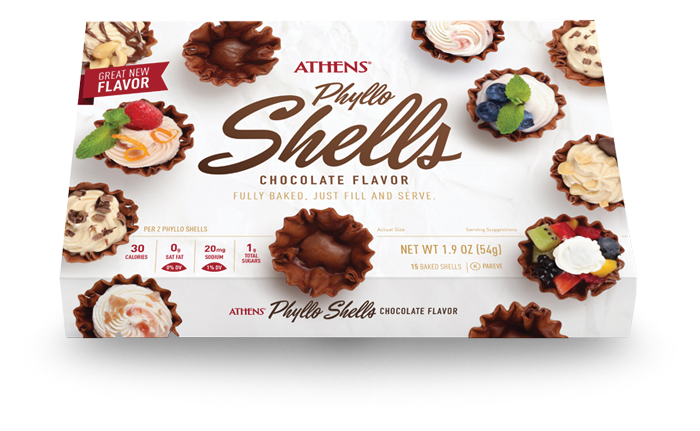 Make your own mini dessert masterpiece with our new chocolate phyllo shells. Say hello to the world’s favorite dessert. 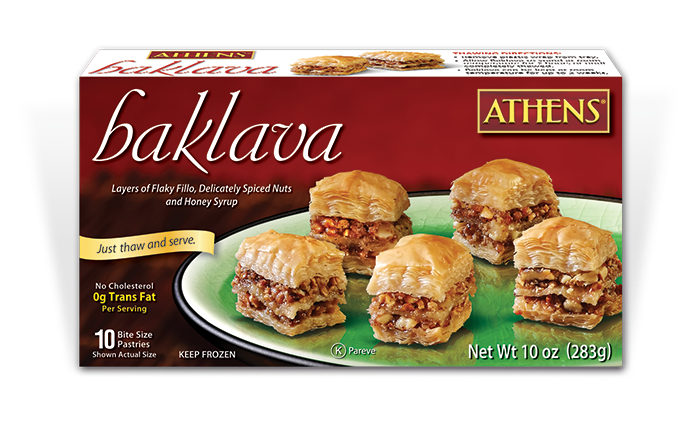 Our baklava is layered with flaky phyllo and walnuts infused with delicate honey-lemon syrup. We did all the work, so you can sit back and enjoy the flavor. Simply thaw and serve; no baking required.